We are very excited the opening of our new Flagship Salon Location! CONSUMER REPORTS -- Sales of cosmetics and personal care products labeled “natural” have soared recently. But, “natural” on the package does not necessarily mean natural inside. According to a year-long investigation by Consumer Reports ShopSmart magazine, many body care products with potentially harmful ingredients, such as coal tar color, triclosan, and chemicals that release formaldehyde. Prolonged use of these ingredients might pose an increased risk of cancer or other health issues. For instance, Naturtint hair color says it’s made “with ingredients of Natural Origin”, but it contains a petroleum-derived coal-tar color—p-phenylenediamine—plus hydrogen peroxide. That combination might be carcinogenic based on preliminary animal studies. Unscented Arm and Hammer deodorant, which says it has “natural” deodorizers, contains triclosan, an antibacterial. It might contribute to bacterial resistance and animal studies show it’s a potential hormone disruptor that may affect reproductive and developmental health. Checking body washes that claim to be “natural” and “nourishing,” there are ingredients like quaternium 15 and DMDM Hydantoin. When combined with water, they can release formaldehyde, which is a human carcinogen if it’s inhaled. Fortunately, some manufacturers and retailers are taking steps to reduce or eliminate potentially risky ingredients from their personal care products. 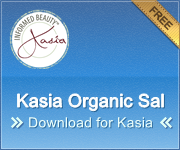 The best label to look for in beauty products is USDA Organic. Another option, if you shop at Whole Foods, look for its “Premium Body Care” seal. Those products are certified free of more than 400 risky ingredients. Besides the word “natural,” Consumer Reports says when looking for cosmetics, don’t put much weight into the claims “dermatologist tested” or “hypoallergenic”. They aren’t independently verified. After a long day of work with my incredible clients and great team, I sit down at the front desk and flush through legging emails and close out the day's books. This week I linked to a favorite industry magazine new release for July. As I started to read the first article I clicked on (naturally I was pulled towards the "Gluten and Skin" article). After I got 3/4 down to the article, I was DELIGHTED and SURPRISED to see that our company was noted as a top "Gluten Free Spa/Skin Care" resource and service provider! You can see the article here - or find the quick read below. What are your thoughts on gluten and skin care? They may sound like rather sobering names: Cyclodextrin, Avena Sativa, Triticum Vulgare Starch, and for some, these are just that—scary. Yet these are in fact products of common foods, bread, pizza and pasta that many of us crave. But they have also become the culprits of one of the latest afflictions worldwide—gluten intolerance. Gluten is a protein found in grains such as wheat, barley, rye and a hybrid of rye and wheat (triticale). While for many people these are simple nutrients, for others they can wreak havoc in their lives, compelling the body to attack and destroy itself little by little. Why do these foods matter to you as a skin care professional? Because gluten sensitivity is not only a matter of what people put in their mouths, but also what they put on their skin—it turns out that grains where gluten is found are commonly used for cosmetics, lotions and other beauty products. More and more people are now finding that they have some sensitivity to gluten and are opting for a gluten-free diet, while others are ridding gluten from their lives completely. That may mean no more salon or spa treatments, especially facials—because the products come so close to the mouth—or purchase of beauty products, unless these are clearly gluten-free. According to the National Foundation for Celiac Awareness, the main organization that brings attention to the gluten intolerant disease known as celiac disease—gluten causes the immune system to damage the small intestine and prevent proper absorption of essential nutrients—one in 133 Americans suffers from the condition. While experts are still debating whether gluten can indeed be absorbed through the skin—some argue that gluten molecules are too large—gluten intolerance has been reported to cause rashes, inflammation and blisters on the skin. Yet what truly matters is what the client wants, and if no gluten becomes their new motto, then offering gluten-free treatments on your menu and gluten-free products in your retail area are certainly worth considering. The face is the area of most concern, since products applied on it can easily come into contact with the mouth; therefore gluten-free facials will be among the treatments more sought after by this new and seemingly increasing segment of the population. Liliana Aranda of FACES Mobile Spa in San Francisco, CA, is gluten sensitive and offers strictly gluten-free facials and treatments. “The positive response was overwhelming,” she says. Her treatments focus on soothing inflammation and bringing moisture. She says that her protocol can be altered to include a firming mask, and that she is working on adding acne and facials to cater to men’s specific needs. If gluten-free products are soothing to the skin, they can also be cosmeceutical and help with anti-aging treatments as well. Skin care assessments are crucial for finding out about allergies in general and sensitivity to gluten and soy—clients with some sort of health issue may react unexpectedly due to diet or medications. This is helpful to determine the right facial and products to address their skin concerns, but it can also give you an idea of how many of your regular guests would benefit and appreciate the addition of treatments that cater to their specific needs. Wheat and oat derivatives are common in skin care retail and professional grades—barley is sometimes used and rye is rarely used. Oats are gluten-free, but can be contaminated with wheat during processing. Lactic acid is an interesting ingredient because most celiac sources list it as gluten-free, yet some forms are wheat derived. A good tip to remember is that just because a product does not list the buzzwords (wheat, barley, rye, etc. ), it does not mean the product is gluten-free. Some skin care companies now offer gluten-free labels, and verifying those with product manufacturers can be worth your while as well. Kris Campbell is CEO and a formulator for Tecniche, a skin care line dedicated to sensitive skin. She is a certified oncology esthetician, and works with Morag Currin to address the skin concerns of clients who are undergoing cancer treatments. Campbell trains professionals, writes for trade publications and speaks at industry events about conditions faced by people with health challenged skin. 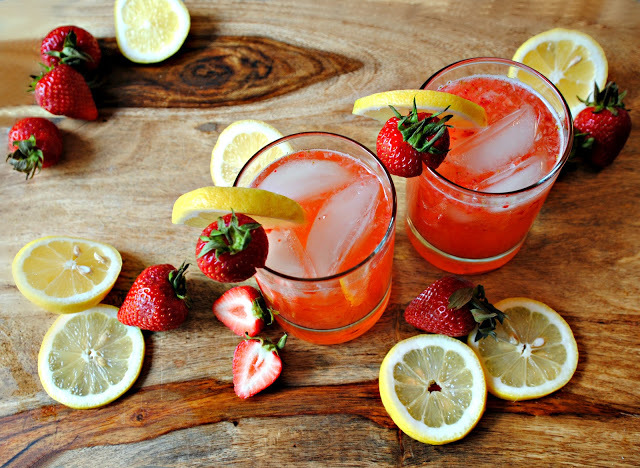 Enjoy this Incredible Summer Recipe with our new STRAWBERRY LEMONADE - GREEN TEA! The deck and patio season is here! This busy time coincides with the herald of the first days of summer and the conclusion of another school year. Many of you are familiar with our Small Batch - Fair Trade Loose - Leaf Teas - as you sip away while you enjoy your hair and skin services by our beautiful health expert team. In celebration of summer, we'll have a whole new tea CREATION for you to enjoy! This is also an incredible tea to impress your friends and family for special gatherings all summer long! Introducing our new STRAWBERRY LEMONADE GREEN TEA! Squeeze juice from lemons (leave the seeds if you like) and stir in with tea. Cold water + ice option: Blend in whole strawberries with fresh squeezed lemons, tea, and water. Iced option: In a blender, blend fresh strawberries and create a thick puree. Stir strawberry puree into the green tea-lemonade mixture. Add fresh mint leaves (optional). Serve in cups with ice. Download: Beautiful Health Mobile APP - smart, stylish, and instant savings! Our new Kasia iPhone and Android app makes it easy to get instant access our exclusive deals, track last minute openings and schedule appointments via email--all in real time. But there’s more! You can also give us feedback on your service and be rewarded, find our location and link to our social web updates! Download the app, refer and share with a friend, and receive a discount on your next service! -Browse our hair and skin services. -Receive updates on "what's new" and last minute specials. -Quick contact features, including single-click calling, e-mail, and directions. 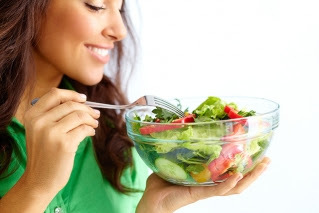 -Stay informed of the latest trends and women’s health news on our Blog. -View inspiring photos for your new look! -Share our app with friends, refer them in for a service, and both will receive $10 OFF your next service. -Connect to us on Facebook & Twitter….and much more! Follow the LINK to the APP store now! We continue to update our new App. Please let us know if you encounter any bugs! Below is a nice write up in the Star Tribune - with Kasia Organic Salon - interjected. Cool Facts: Both Horst and I use the same suppliers for our organic + cold pressedoils in our skin care lines. Horst started IN in 2004/2005 and launched in 2009. He sold Aveda in 1997 for $300 million. In the meantime.... "Kasia" will continue to step into it's larger purpose with our incredible - growing team and "beautiful health" culture. Aveda founder Horst Rechelbacher’s line of organic beauty products is hitting its stride. The green movement is also catching on with consumers. Kuehl, who sells her own line of all-natural products at Kasia Organic Salon, said she has seen her customer base grow from hard-core environmentalists to a larger group, especially moms-to-be and others concerned about chemicals in their hair products.